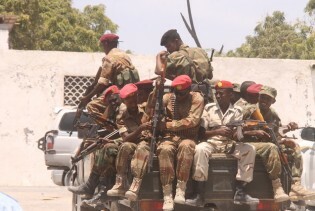 Residents of Mogadishu have raised concerns about their safety after the Somali army recently fired hundreds of disgruntled soldiers, many of whom are believed to still be in possession of their arms. As the Somali government plans to launch a new military campaign to wipe out the Islamic extremist group, Al-Shabaab, from its strongholds in this Horn of Africa nation, experts say that its Somalia’s innocent who live in areas controlled by the group who will suffer the most. Osman Ali, the owner of an electronics shop in Somalia’s capital, Mogadishu, has been hard-hit since Al-Shabaab forced the biggest telecoms company to switch off its mobile internet service in this Horn of Africa nation. Mukhatar Jama has been teaching at a secondary school in Mogadishu for the past decade. Religious education is part and parcel of the curriculum of all schools in Somalia, but he says most parents are unaware of exactly what their children are being taught – a radical form of Islam. Maryan Yusuf, 39, is weak and barely able to speak because of her excruciating pain. A few hours earlier she delivered a baby at Somalia’s Afgooye Hospital, where essential drugs are dwindling at an alarming rate. The system of government remains the biggest political obstacle in Somalia as key political players boycotted the government’s current national conference to discuss this country’s political future, according to Jaylani Mukhtar, a local academic based in capital Mogadishu. Somali clan leaders say that an Aug. 27 agreement between the government and only a few leaders from the country’s three southern Jubba regions, which aims to resolve the ongoing dispute over who controls the area, creates more problems than it solves.